BEST FOR EXTREME COLD-The EXTREME PERFORMANCE base layer thermal is constructed with 2 layers of CPT – COLDPRUF® TECHNICAL Fibers for WARMTH, MAXIMUM DRYNESS and ODOR CONTROL. The EXTREME PERFORMANCE two layer garment has been specifically engineered with our COLDPRUF® TECHNOLOGY to trap air between the layers of fabric to provide a natural warmth shield. 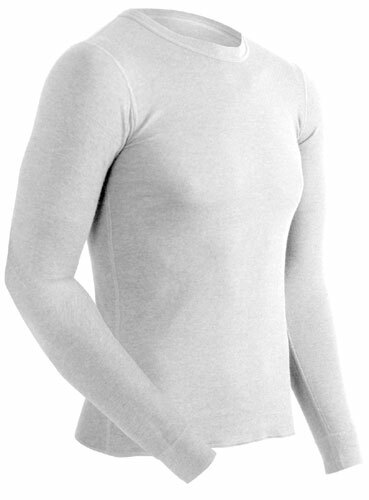 This rich polyester spandex fabric is stretchy, durable, breathable, super soft and extremely comfortable. The EXTREME PERFORMANCE is excellent for wear in very cold to extremely cold weather with mid to high activity. Great for Alaska, Antartica, Snowmobiling, Skiing, Snowshoeing, Snowboarding, ETC.